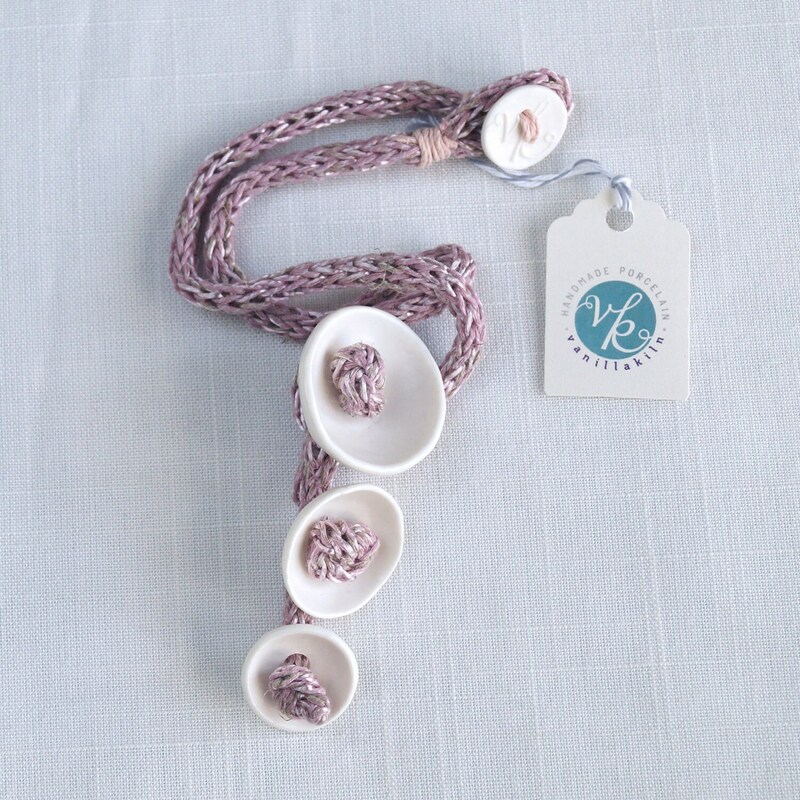 This necklace features three dome shaped pods and a knitted linen i-cord knotted in the pod centres. 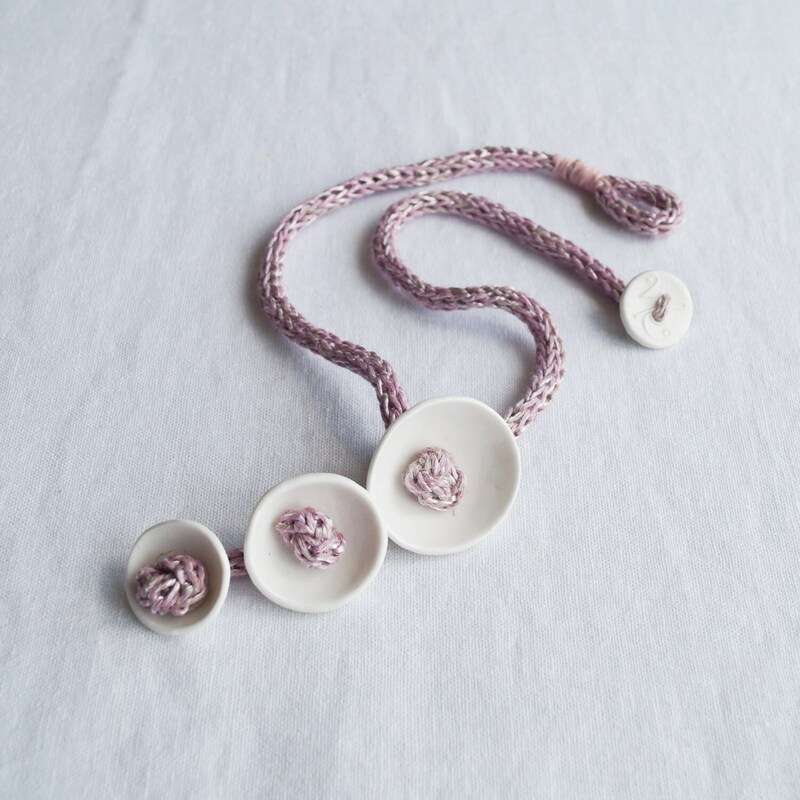 Pods are hand made in ceramic porcelain clay. Pod sizes 35 mm, 28 mm and 24 mm diameters approx. Group drop 85 mm approx. Stable knitted i-cord holds its shape. Blend of linen, cotton and viscose. 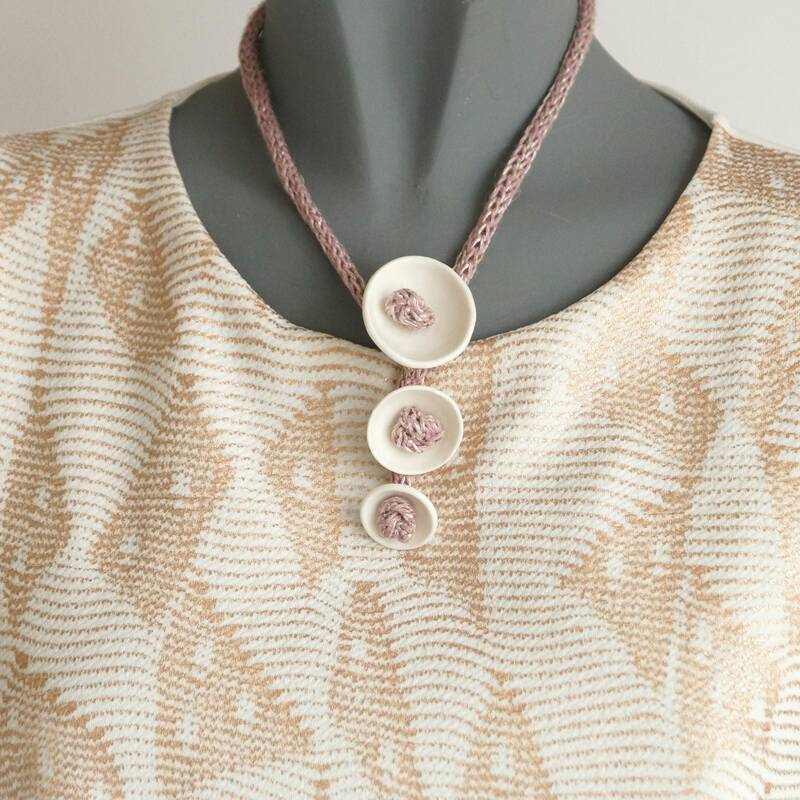 Variegated blush pink marl knit with shiny highlights and subtle beige flecks. 44 cm (17 inches) long, 7 mm diameter approx. Hand sewn vk stamped button and loop fastening. 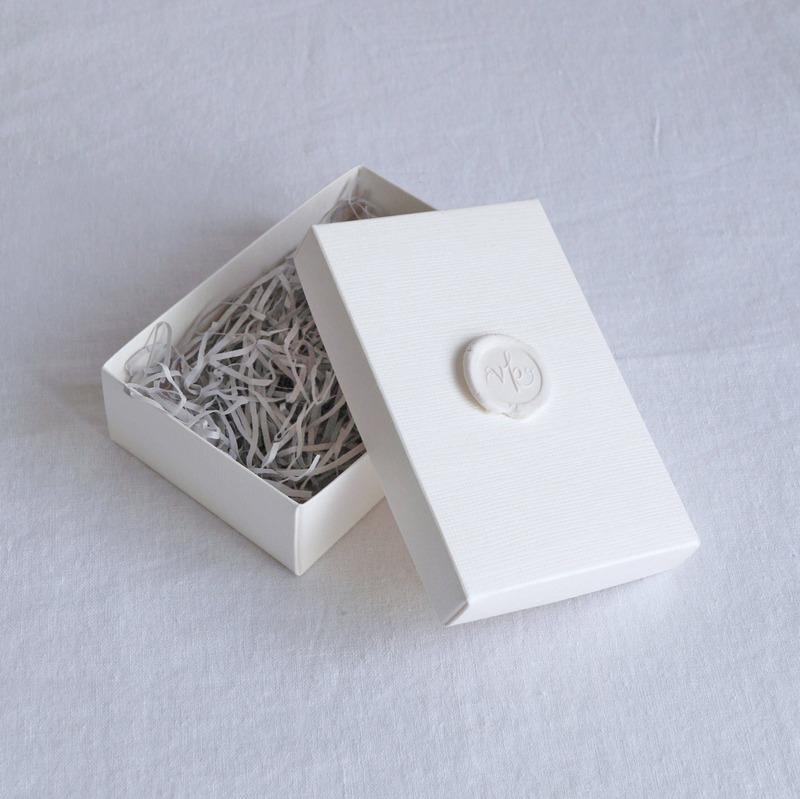 Supplied in Vanillakiln gift box. Each one is slightly different due to all the hand made processes. Yours will be just as beautiful as the one shown.